Nella foto il Presidente della Repubblica Sergio Mattarella all’inaugurazione del Centro Formazione Giornalismo Radiotelevisivo di Perugia. Un Onore per tutta la nostra azienda. 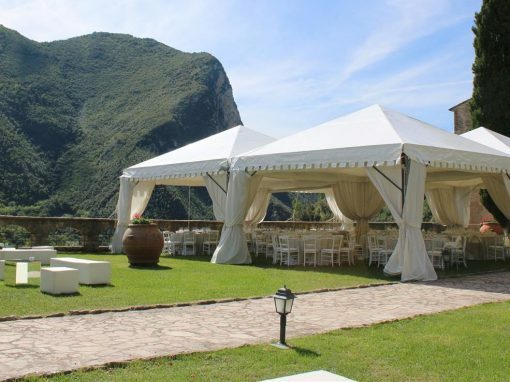 Our Company, begun in 1976, has been engaged in the rental of elegant tent structures which have minimal environmental impact and many other great features. 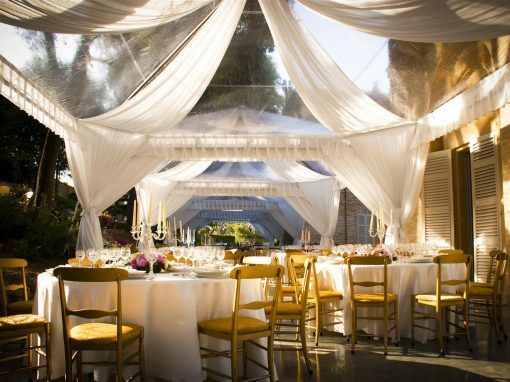 We design and create tensile structures for small and large areas and we can set up any event, such as fairs and ceremonies, both outdoors and indoors with careful attention even in the smallest details. The C.S. Eurofiere is also able to design and build every type of metal, PVC , aluminum, and wood constructions. We also offer custom made products for which we offer lower prices. C.S. 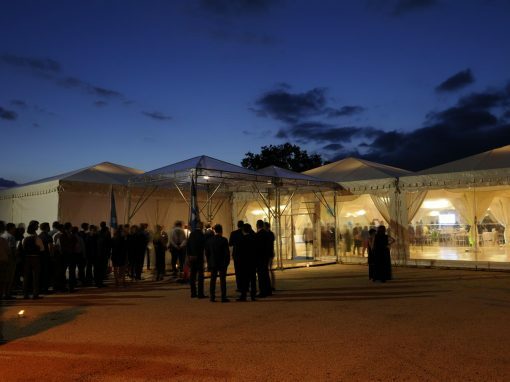 Eurofiere’s efficiency in the making and rental of marquees and modular gazebos is the work of a highly qualified and dedicated staff who are always attentive to safety standards and aesthetics. All this allows the company to operate with great features and with minimal environmental impact, thus offering its customers the best solution on any terrain and in any condition. C.S. 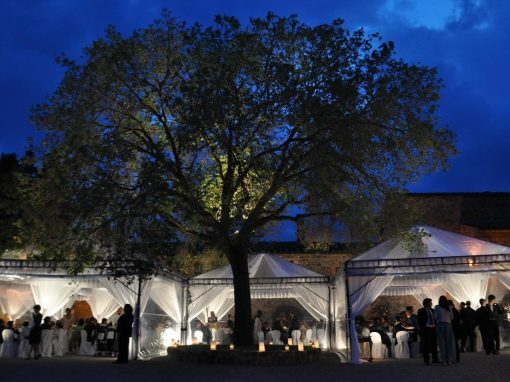 Eurofiere is not limited only to renting marquees, but also designing, building, transporting and setting them up. We work in minimal time frames and ensure the full compliance with all safety standards. 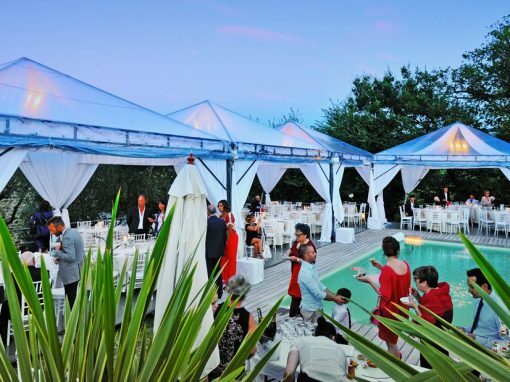 Entrusting an important event to CS Eurofiere is the best way to make it a great memory. We work with many industries for which we provide facilities for mobile or temporary warehouses. 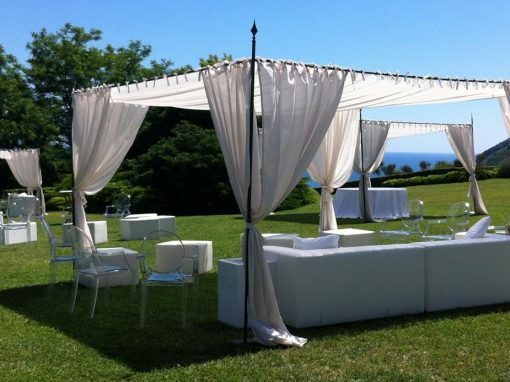 We also develop areas for parties or meetings. Con questo form potrai richiederci un preventivo gratuito per il tuo evento. I dati che andrai ad inserire verrannno trattati in maniera corretta e non verranno mai ceduti a terzi.